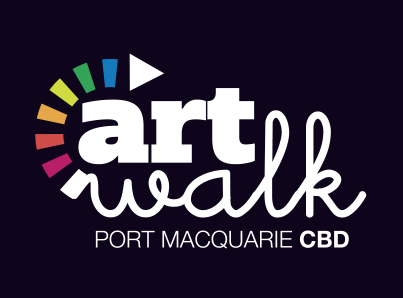 A great project to be involved with the first ARTWALK , included designing all the marketing material and logo for this great event, and great to see it was such big hit with the public. 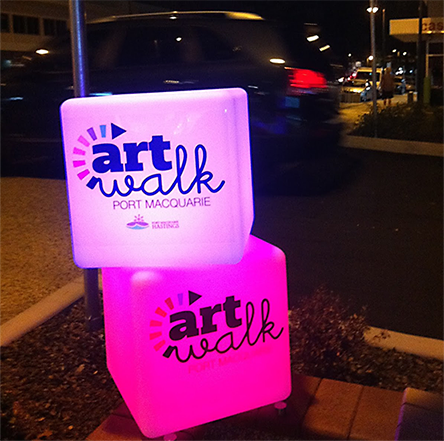 ArtWalk is a free multi-venue cultural event that opens our local art galleries and museums and brings art out of the gallery and onto the streets at night. 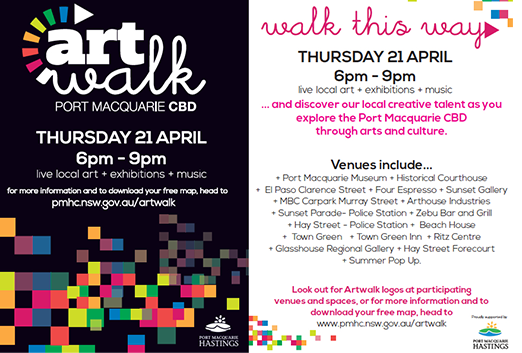 Digital projections guided you through on a tour to our top arts and cultural locations throughout the Port Macquarie CBD. Over the evening, take a chance to explore our local collections and discover local artists exhibiting in unconventional spaces. See live art work, music & entertainment in pop-up spaces and businesses around the CBD.